Out near one of the least creative constellations in the sky, lies one of the northern hemisphere’s greatest deep sky treasures. M33 is one of the closest spiral galaxies to our Milky Way, second only to the Andromeda Galaxy. Of our galactic trio, M33 is by far the smallest with a mere 40 billion stars. 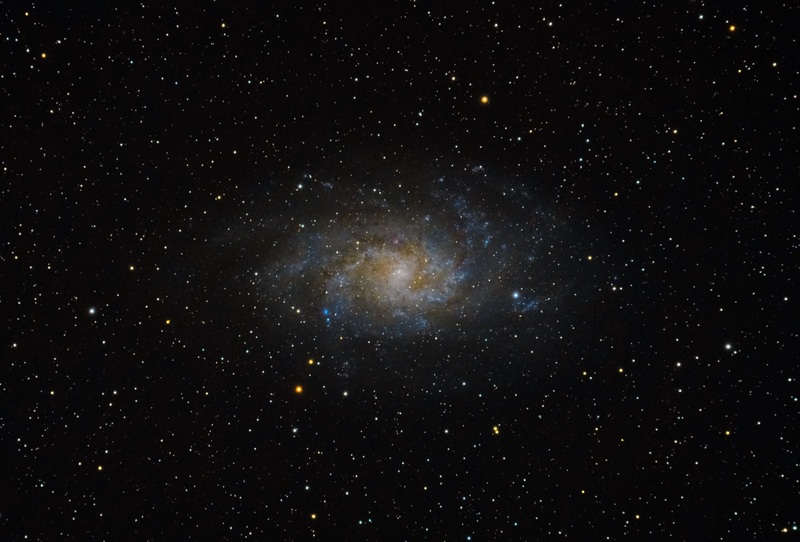 M33 has multitudes of star forming regions visible in amature images. Some of these regions are so bright, they have their own NGC designation. The largest star-forming region is named NGC 604. NGC 604 is visible as a small purple blob in the lower left of the galaxy. I took this picture from a grey zone in Arches National park, UT. This was my main target during a 2 week trip to Utah’s National parks. Out of the two weeks, I had one semi-clear night, where I took this picture. Next: Next post: An awesome addition to the dining room and an interview with the photographer.